Fair dealing for the purpose of research, private study, education, parody, satire, criticism, review, and news reporting does not infringe copyright. Fair Dealing Week is an important reminder that the Copyright Act is intended to balance the rights of creators with the rights of users as a way of enriching the greater public good. Across the United States and Canada, education institutes and associations are raising awareness of the user rights granted in American and Canadian copyright law through a variety of activities: organised panel discussions and debates, shared stories, webcasts, webinars, blog posts, tweets, and other events. Follow the discussion through the links and summaries being collected this week in our new Fair Dealing Week Libguide. 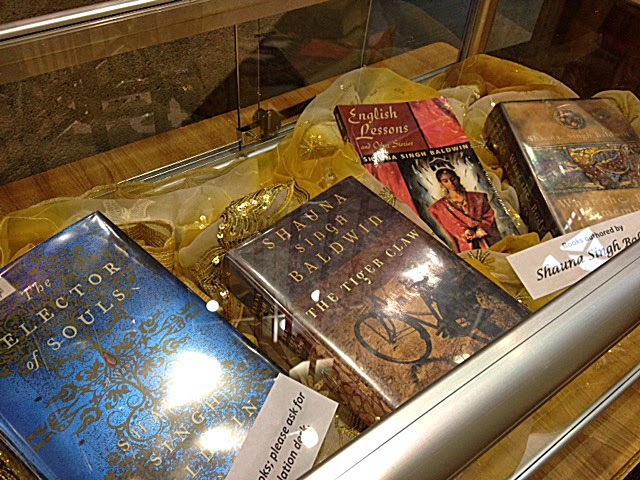 We are highlighting the literary career of Shauna Singh Baldwin with a display of her books. Baldwin will be appearing at Ehsaas Readers and Writers Festival on Tuesday, March 3rd at 6pm in room F125 in the Centre for Indo-Canadian Studies. For more information about the Ehsaas Festival, please click here. 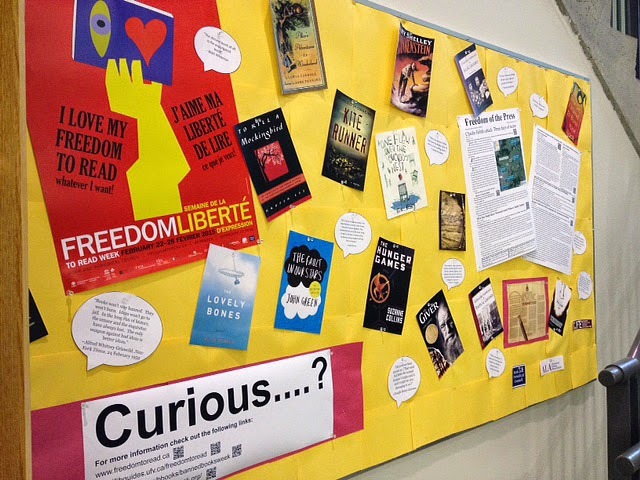 The Abbotsford campus library has a new display celebrating Freedom to Read week (February 22-28, 2015). 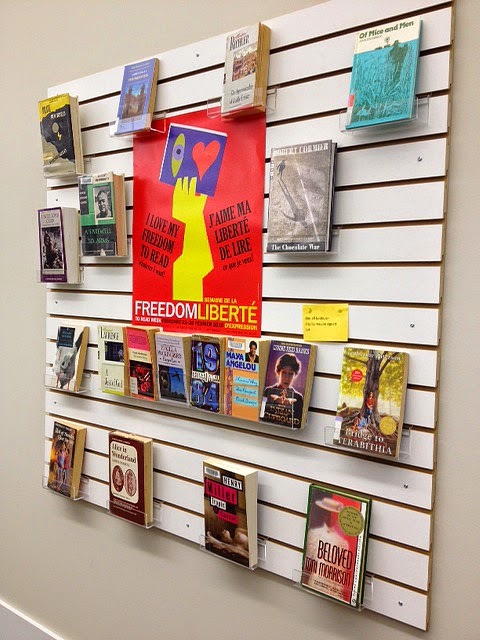 This display encourages everyone to think about and embrace their right to intellectual freedom, which is guaranteed under the Charter of Rights and Freedoms. This display also helps to broaden our understanding of why books have been challenged over time. You'll also see a display on the freedom of the press, which is very timely in relation to the events that tragically unfolded in Paris earlier this year. 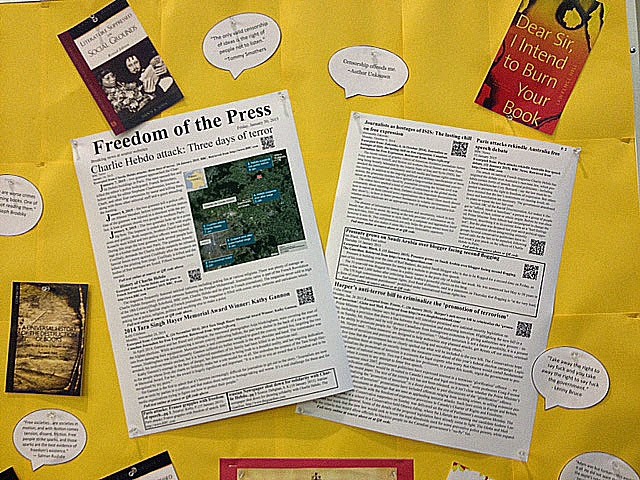 News stories relating to the Charlie Hebdo attack can be accessed by scanning the QR code provided on the display. We have published a Libguide for Freedom to Read Week where you can explore the books that have been challenged or banned over time, as well as discover what scholars and librarians are writing about intellectual freedom. Click here to access the Libguide. This display will be up until the end of March. 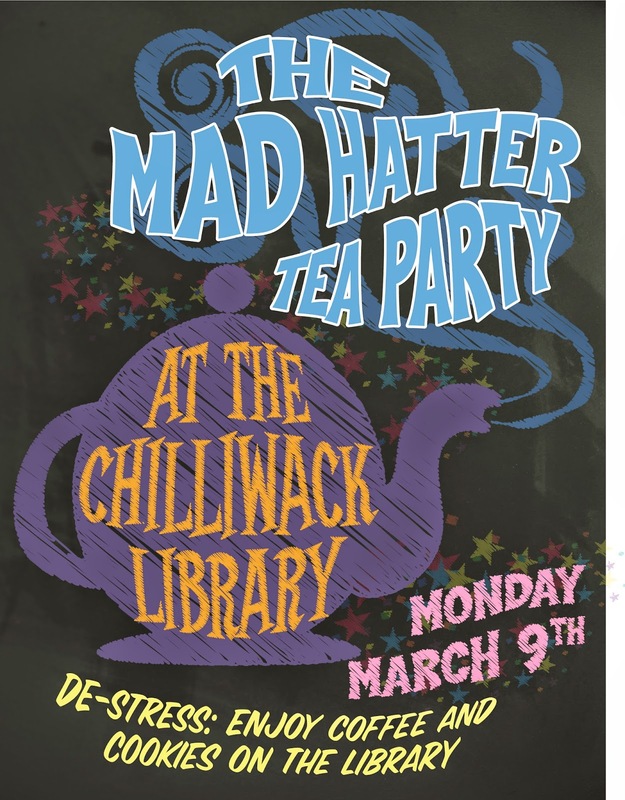 Join us for a de-stressing day in the Chilliwack library on Monday, March 9. 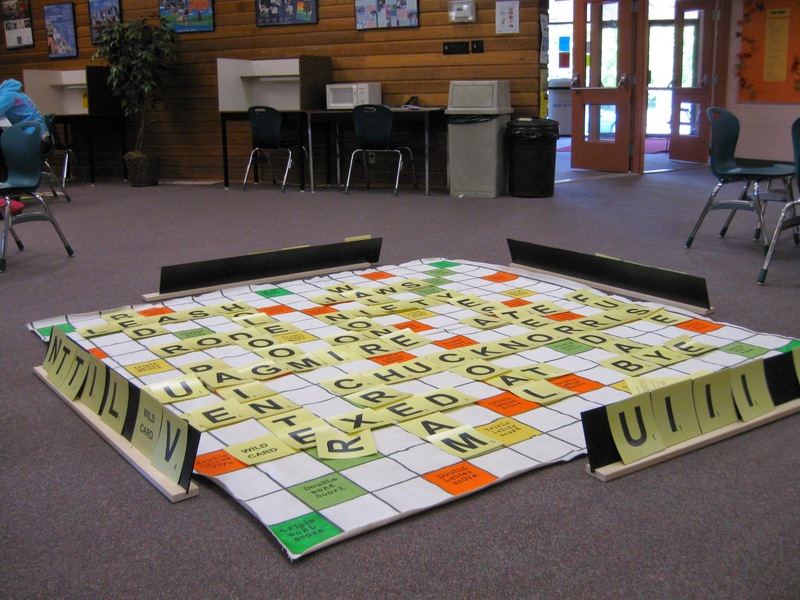 Take a short break from studying to enjoy coffee and treats or play a game of Scrabble on our giant Scrabble board. Alice and the White Rabbit will be in the library for sure. Maybe the Dormouse or the Mad Hatter himself will show up too! Everyone, including Johnny Depp, is welcome to wear a mad hat to the library on Monday and tumble down the rabbit hole with us. The model in the Chilliwack library’s display cabinet is showing off how easy it is to use a metabolic cart to estimate the amount of oxygen used by tissues during exercise or at rest. By measuring the amount of oxygen consumed by our cells, we can estimate the amount of energy produced through cellular respiration. Dressed up in exercise gear, the mannequin gets her oxygen consumption (VO2) tested when her body is resting and then again during exercise. We can see how much more oxygen is used by the cells during exercise and also test the maximum amount of oxygen that can be consumed by the cells, which is a measure of aerobic capacity. The maximal oxygen consumption in tissues is largely genetically determined, but it is can also improve with endurance training. The VO2 max test is commonly used to test athletes' aerobic capacity and to track how much they have improved over time. The average sedentary individual has a VO2 max of 25-35 (this is how much oxygen their cells are able to use in one minute), during a walking test on a treadmill, while a frail, elderly person has a VO2 max of 10-20 mL/kg/min. The highest VO2 max ever recorded is a Scandinavian cross-country skier who scored 93. VO2 max declines significantly with age, starting at 25-30 years old. Fat composition and muscle mass have little influence on VO2 performance. It’s aerobic training that can make a difference. To compare us to our furry friends, an elite distance runner may have a VO2 max of approximately 80 mL/kg/min, whereas sled dogs have a far greater endurance capacity, reaching levels of up to 300 mL/kg/min. The health sciences display at UFV’s Chilliwack campus library includes elements of nursing, kinesiology and dental instruction, including library resources on health-related topics and some neat dental X-Rays. 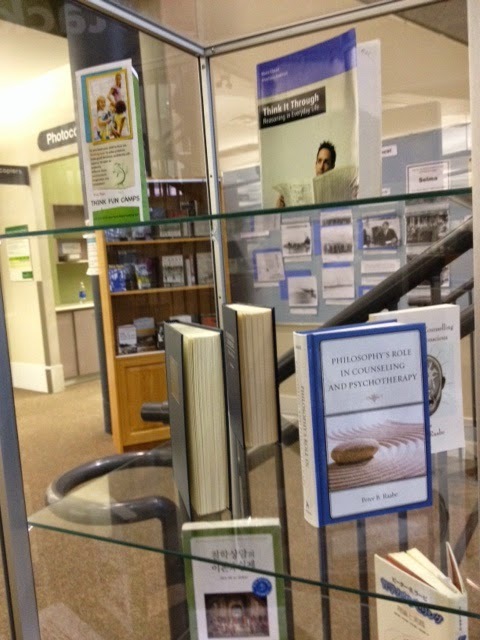 All of the library materials in the display case are available to take home. Ask a staff member and she will get it out of the display cabinet for you. Alice is in the library. After several years of looking through bubble wrap, Alice from Alice’s Adventures in Wonderland and Through the Looking Glass and What Alice Found There, is looking out over student efforts in the Chilliwack library. Alice says she’s happy to be back after years in a back cupboard where she could hear students, but she couldn’t see them. She’s also happy to be still inspiring new creative works. The list of Alice-influenced projects is long and includes music such as The Beatles' Magical Mystery Tour album and Jefferson Airplane’s song White Rabbit. Her film, television and theatrical influences include The Matrix, Pan’s Labyrinth, Alice at the Palace, the film Alice by Tim Burton, featuring Johnny Depp as the Mad Hatter, and an upcoming Alice film purported to feature some of the actors from Tim Burton’s film. Her literary influences include Go Ask Alice, White Stone, The Alice Poems, Alice I have been, Splintered, Unhinged, The Looking Glass Wars, Alice in the Country of Hearts, Hatter M, and Alice in Zombieland. Visit the Chilliwack library to view a selection of books about Lewis Carroll and his creations or about modern culture based on his creations or see the library’s online display: http://www.ufv.ca/library/exhibits--events/through-the-looking-glass-the-complicated-world-of-lewis-carroll-june-2009/. Alice will stay in the library long enough to inspire a Mad Hatters tea party in the Chilliwack library in March. Stay tuned for more details coming soon! Statistics Canada produces special event themed collections of statistics. See Valentine's Day By the Numbers for some fun Canadian statistics related to co-habitation, love, roses, chocolate, etc.! The UFV libraries will be closed on February 9th, 2015 for Family Day. Our hours for Reading Break remain as usual. For complete details, look at our hours page. Due to the need to prioritize processing and cataloguing of current acquisitions, we are not able to accept donations at this time. Exceptions are publications authored by UFV students, faculty and staff, donations in kind supporting the UFV Library Heritage Collection and donations supporting the Western Canadian heritage cookbook collection. Come and see what the philosophy faculty have thinking and writing about! Items on display range from philosophy in counseling to the use of philosophy in everyday life. Philosophical discussions encompass critical thinking, reasoning, and developing an individual opinion based on facts. The skills developed in any philosophy class are highly transferable in today’s labour market as well as in our own personal lives! To know more about the philosophy resources in the UFV library, click here to access the philosophy Libguide.